Striving to improve your health. Anesthesia Associates of Boise, PA was founded in 1948 by the first anesthesiologist to practice in the state of Idaho. Since that time our physician-led practice has grown to its current position as the largest provider of anesthesia services in the Treasure Valley. While some services are provided by physician's personally, most anesthetics are administered in the anesthesia care team model. This model incorporates both highly trained board certified or eligible Anesthesiologists as well as the best Certified Registered Nurse Anesthetists (CRNA) in the country. Currently our team is comprised of more than 80 anesthesia providers. Our practice encompasses all aspects of peri-operative care including the latest advances in cardiac, pediatric, orthopedic, neurosurgical and obstetric sub-specialty services. Our administrative staff provides outstanding customer service, billing support, claim submission and human resource administration. Our practice also focuses on compliance and employee satisfaction with a designated quality and performance improvement coordinator. Anesthesia Associates emphasize not only the highest quality of patient care but additionally values all of it's employees as they are an integral part in accomplishing our mission. 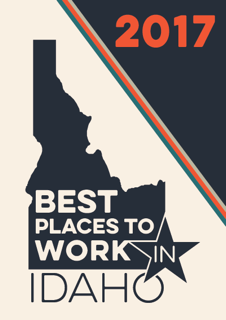 We were recently honored as one of the best places to work in Idaho! AAB strives to improve the health of patients we serve by providing physician-led, innovative, comprehensive peri-operative patient care and service based support to all St. Lukes Hospital Systems physicians and staff. AAB will be the preeminent provider of peri-operative services in our region.